With spring quickly approaching, as we look ahead to planting season there’s a lot to consider. In my visits to farmers and dealers in my region at this time of year, many of our discussions are on seed performance evaluation from fall harvest. If you are like the farmers I’ve been talking to, you’re looking to Climate FieldView™ yield analysis tools to help you make informed seed purchase decisions for the coming year. Now is the time to set yourself up to maximize return on the seeds you will soon be planting and give them the best opportunity for success. But first, there are questions to be answered: With the variability that exists across many fields and operations, how can you know what seeding rate is right for specific areas of your fields? How can you be sure you are making the right choices that will result in the best possible yield? Variable rate seeding is an answer for many, but writing these prescriptions can be a time-consuming and cumbersome process. Inspired by this challenge however, the Climate team developed a science-based, variable rate seeding solution that uses a farmer’s historical field data, combined with our field testing results, to create seed prescriptions in just minutes and leads to confident decision making – FieldView™ advanced seed prescriptions. I work with Justin Hanson, a farmer near Roland, Iowa to help him gain the most value from his FieldView resources. You may have seen his recent blog post and video that highlights how he’s planning for spring planting – including preparing to write variable rate seed prescriptions. 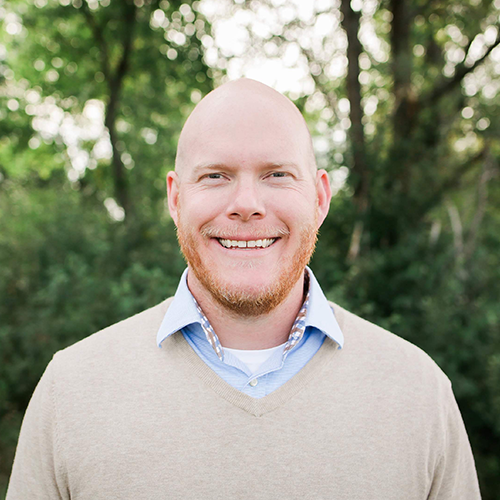 Justin also shares how he works with his seed dealer to evaluate crop performance, make seed decisions and develop prescriptions tailored to his fields. Advanced seed prescription users can see a potential 5bu/acre average increase compared to farmers who wrote their own scripts. @FieldView. Creating, editing and reviewing variable rate seed prescriptions is fast, easy and efficient with the FieldView advanced seed prescription tool. How it works: Uses your historical field data, combined with proprietary field testing results, to provide prescriptions on nearly any seed brand in the industry, tailored to your unique yield or profitability goals. Where it works best: Your fields: Combines field variability with knowledge of optimal seeding rates for commercial hybrids to provide you with a seeding rate prescription by zone for your field. Why you can trust it: Backed by proprietary field testing results, consisting of multi-year, multi-location field trials on almost 5,000 hybrids. This breadth of research is what enables FieldView to create scripts across seed brands. Why you should use it: Time savings: Typically, creating a customized variable-rate seed prescription can take farmers or their agronomic partners anywhere from more than a day to more than a week, but with FieldView, the average time to create a script is less than six minutes. Teamwork – Consult with your seed and/or FieldView dealer for direction on hybrid rates, field placement, and underlying soil environment. You know your fields better than anyone, but another expert eye will give you a head start on making sure your seeds have the best possible performance opportunity. Timing – Work with your dealer to prepare seed prescriptions early to allow time to upload scripts into your FieldView system. Completing this process now means you’ll be one step closer to hitting the ground running when the busy planting season begins. Tech readiness – As always, you’ll want to make sure that your tractor, planter, seed tenders and all other equipment are in peak working condition when you need them most. Equally important is ensuring your FieldView™ Drive is properly linked to your equipment and that your FieldView™ Cab app or 20/20 Seedsense® is updated so you can gather valuable planting data this spring. If you have questions, you can learn more about FieldView equipment compatibility. Testing – How can you measure results? To take a closer look at how your variable rate seeding efforts performed in specific areas of your fields, set up a test to compare new seeding rates and zones with past practices. 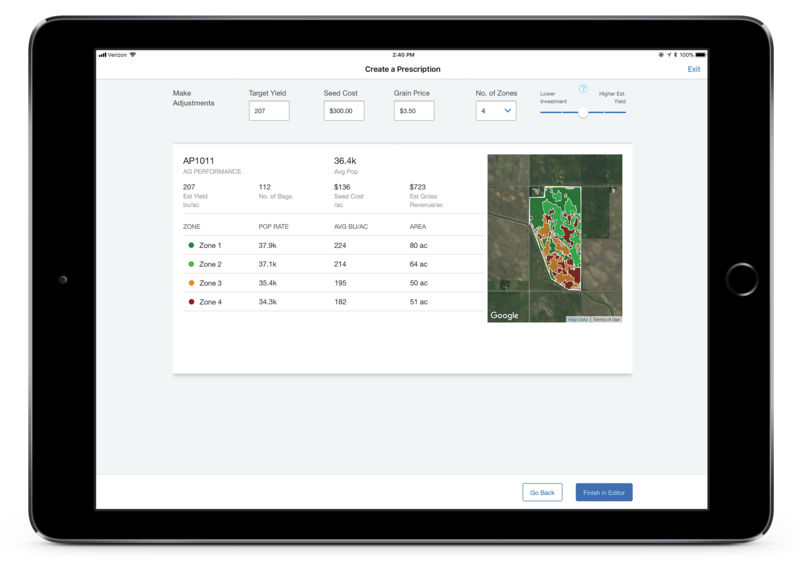 At the end of the season, use the FieldView field region report or side by side map comparisons to understand your results. (Left) FieldView advanced scripting map utilized to plant the variable rate portion of the field trial. (Right) FieldView planting population map after the side by side comparisons were executed for a field trial. With so many variables during planting season, you’ll want to control everything you can. Variable rate seeding is a step in that direction, and the FieldView advanced seed prescription tool can help to make the process easier, faster and more efficient. I wish you well as spring approaches and hope you have a productive year. If you have any questions, contact your Climate dealer, the Climate Support Team at (888) 924-7475 or support@climate.com. *Assumptions: Comparing 281,000 ac in 4,179 fields. More than 25% of field had script. Products’ maturity ranges between 95-115. Limiting comparisons to the same county; represents 79n counties in 10 Midwestern states. Minimum of 3 Advanced & DIY Seed scripts in a county to be compared.